Here we show you how to mount your Android or iPhone into our Velocity Clip. 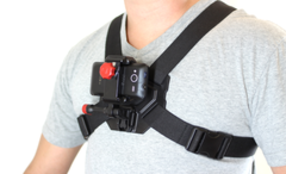 The Velocity Clip allows you to film from all angles hands free. There's adhesive mounts (for helmets/cars), chest mounts, head mounts, and even bike handlebar mounts! 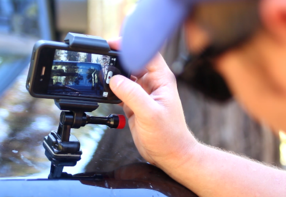 You don't have to just film with the Velocity Clip, use as a GPS mount on your car or bike, or as a camera stabilizer. The Velocity Clip even works with tripods so you can stick your phone onto any standard tripod. 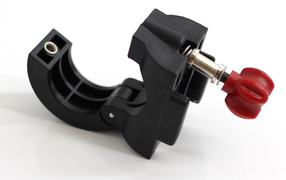 Velocity Clip is your universal video mount. 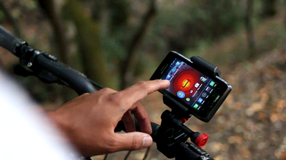 Film hands free with any Android, iPhone, or compact camera, edit, and upload immediately. With Velocity Clip adhesive mounts you can record from any hard surface like your helmet, car dashes, or even use on tripods. The Velocity Clip has additional accessories sold separately (chest mount, head mount, bike mount). 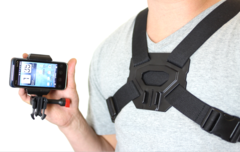 The Velocity Clip Android & iPhone video mount lets you capture video from your chest angle with a full 180 degrees of motion to allow you to reach all the difficult angles. The package comes equipped with the Velocity Clip which is capable of attaching to the Chest Mount, Head Mount, Adhesive Mounts, or Bike Handlebar Mount. 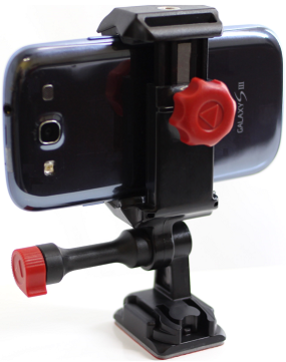 Film with your Android or iPhone with the Velocity Clip Head Mount which allows you to film from the true POV angle, your forehead, right where your eyeballs are located! 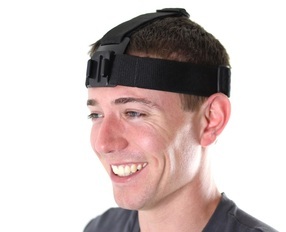 This head mount works well over hats, beanies, and even fits over some bike helmets and other head protection gear. 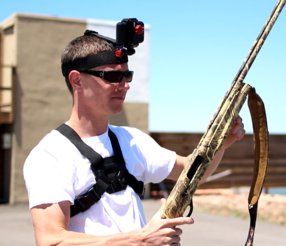 Use for snowboarding, biking, hunting/trap shooting, or even just bird watching. Epoxy grips ensures that the head mount stays secure on your head or helmets. 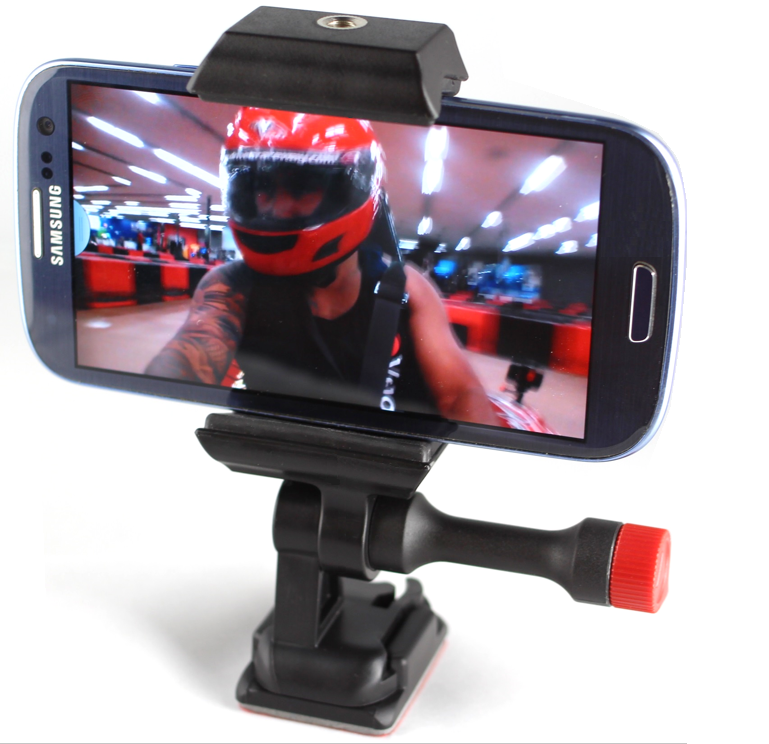 This package comes with the Velocity Clip which can attach to other accessories like the Chest Mount, Adhesive Mounts, or Bike Handlebar Mounts. 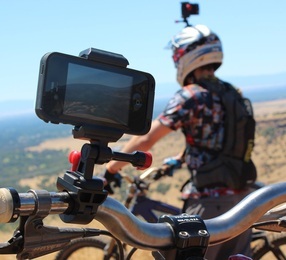 Android & iPhone Video Mount Velocity Clip lets you capture video from the bike angle with a full 180 degrees of motion to allow you to reach all the difficult angles. The package comes equipped with the Velocity Clip which is capable of attaching to the Chest Mount, Head Mount, Adhesive Mounts, or Bike Handlebar Mount. Use as a personal GPS holder!